The Ultimate Must-Have Collection For Any Twilight Zone Fan! This very special collection features some of the most memorable episodes from Rod Serling's legendary series exploring the fantastic and the frightening. Walking Distance (aired October 30, 1959): “A man makes a time travel to his childhood, when he's just a few miles away from his native town.” The episode seems a bit sluggish for its first half, largely because the viewer will be so far ahead of the characters. Nonetheless, “Distance” offers some good emotion in its second half and turns into a moderately moving parable. Time Enough At Last (aired November 20, 1959): “A henpecked book lover finds himself blissfully alone with his books after a nuclear war.” More than almost any other Twilight Zone show, viewers will know how “Time” ends, as it comes with one of the series’ most famous conclusions. I feared that my foreknowledge of the finish would ruin “Time” for me, but that doesn’t become the case. The show develops its characters and themes so well that it remains an enjoyable show even with my awareness of the finish. The Hitch-Hiker (aired January 22, 1960): “A young woman driving cross country becomes frantic when she keeps passing the same man on the side of the road. No matter how fast she drives the man is always up ahead, hitching her for a ride.” After two good shows, the set falters with the overwrought “Hitch-Hiker”. 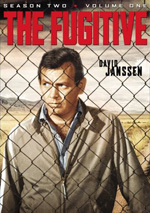 Much of the problem comes from Inger Stevens’ campy lead performance, but even without that, the show simply seems limp. The Monsters Are Due on Maple Street (aired March 4, 1960): “On a peaceful suburban street, strange occurrences and mysterious people stoke the residents' paranoia to a disastrous intensity.” Like many Twilight Zone episodes, “Monsters” acts as a metaphor, presumably with a nod toward the 1950s anti-Communist mentality. “Monsters” lays it on a bit thick at times, but it still develops pretty well and keeps us interested until we get to its finale. A Stop At Willoughby (aired May 6, 1960): “Tired of his miserable job and wife, a businessman starts dreaming on the train each night, about an old, idyllic town called Willoughby. Soon he has to know whether the town is real and fancies the thought of seeking refuge there.” “Willoughby” doesn’t copy “Distance”, but the two share an awful lot of similarities. “Willoughby” comes with a darker side, though, as it shows more clearly the plight of its beaten-down protagonist. It also delivers a sharper edge and less sentiment, which makes it an interesting twist on the “dream of a simpler life” theme. The After Hours (aired June 10, 1960): “A woman is treated badly by some odd salespeople on an otherwise empty department store floor.” Even for Twilight Zone, “Hours” comes across as surreal. Downright weird at times, the show seems tougher to predict than many. That sense in which “Hours” keeps us guessing makes it effective – and eerie. The Howling Man (aired November 4, 1960): “David Ellington seeks refuge in an abbey and meets someone who is being kept prisoner and howls constantly through the night.” The episode makes the shocking alleged identity of the “howling man” known pretty early, so it develops its drama via questions related to that topic. “Man” seems a little too chatty at times, but it goes down some interesting paths. The Eye of the Beholder (aired November 11, 1960): “A young woman lying in a hospital bed, her head wrapped in bandages, awaits the outcome of a surgical procedure performed by the State in a last-ditch attempt to make her look ‘normal’”. “Beholder” suffers due to heavy-handed moralizing and an obvious ending. 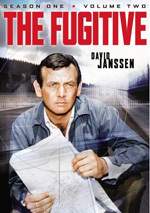 Given the cinematic techniques used here, the show’s finale becomes inevitable; since the rest of the episode does little more than build up to this reveal, the program becomes slow and tedious. Nick of Time (aired November 18, 1960): “A pair of newlyweds stopping in a small town are trapped by their own superstition when playing a fortune telling machine in a local diner.” This package’s first of two appearances by William Shatner, “Time” rebounds after the flawed “Beholder”. It offers a story unusually open-ended for Zone, and that helps make it involving and effective. The Invaders (aired January 27, 1961): “When a woman investigates a clamor on the roof of her rural house, she discovers a small UFO and little aliens emerging from it. Or so it seems.” Except for Rod Serling’s narration, “Invaders” comes almost totally free from dialogue. That gives it an unusual twist and creates an intriguing episode, even if its closing twist doesn’t quite work. The Obsolete Man (aired June 2, 1961): “In a future totalitarian society, a librarian is declared obsolete and sentenced to death.” The most interesting aspect of “Man” comes from its use of Burgess Meredith as another book-obsessed person; he played the lead in the earlier “Time Enough at Last”. I have to imagine that casting was intentional, and it creates a clever throwback to the other episode. Outside of that connection, though, “Man” lacks much punch. Like other shows that deal with its themes, it seems too heavy-handed and fails to deliver the requisite nuance to allow it to prosper. It’s a Good Life (aired November 3, 1961): “On an isolated family farm, a young boy with vast mental powers, but lacking emotional development, holds his terrified family in thrall to his every juvenile wish.” Like some other Zone episodes, “Life” will look familiar to fans of The Simpsons, as it got spoofed in a “Treehouse of Horror” segment. It can be rather overbearing in its message about the dangers of spoiling kids too much, but it still creates an entertaining parable. The Midnight Sun (aired November 17, 1961): “When the Earth falls out of orbit, two women try to cope with increasingly oppressive heat in a nearly abandoned city.” “Sun” seems better in concept than execution, as it feels a bit tedious. It relies more on its twist ending than anything else and it feels unsatisfying. To Serve Man (aired March 2, 1962): “An alien race comes to earth, promising peace and sharing technology. A linguist and his team set out to translate the alien's language, using a book whose title they deduce is ‘To Serve Man’.” Another show parodied by The Simpsons, this one seems different than usual for Zone. The series tends toward stories that punish the suspicious/cynical, but this one goes the opposite way. It works less well when you know the end twist, but it’s still an interesting tale. Nightmare at 20,000 Feet (aired October 11, 1963): “A man, newly recovered from a nervous breakdown, becomes convinced that a monster only he sees is damaging the plane he's flying in.” Another show, another one we know from The Simpsons! Even with that foreknowledge, “Nightmare” delivers a taut, tense piece. It’s one of the series’ best. Living Doll (aired November 1, 1963): “A frustrated stepfather does battle with his stepdaughter's talking doll, whose vocabulary includes such phrases as ‘I hate you’ and ‘I'm going to kill you’.” We continue our run of “episodes parodied by The Simpsons” here, and it’s another solid show. Granted, it seems perplexing that the mother married a jerk like the stepfather, but the show takes interesting, entertaining paths. The Masks (aired March 20, 1964): “Wealthy Jason Foster is dying and he invites his greedy heirs to a Mardi Gras party where they must wear the masks he specially had made for them or else be cut off from their inheritance.” “Essential Episodes” ends with a bit of a whimper. It comes with a heavy-handed message and a pretty silly finale. It’s not a poor show but it’s not one I’d call “essential”. The Twilight Zone appears in an aspect ratio of approximately 1.33:1; due to those dimensions, the image has NOT been enhanced for 16X9 televisions. The shows didn’t look great but they offered mostly satisfactory visuals. Sharpness was mostly good. Despite a few examples of edge haloes, the programs displayed fairly positive clarity and delineation, without a lot of problematic softness. Some modest instances of jagged edges and shimmering appeared, but these created few distractions. Blacks appeared dark and dense, while shadows usually seemed clear and appropriately opaque. Source flaws were the main weak link here, as throughout the shows, I noticed instances of nicks, blemishes, specks and marks. Some episodes suffered more than others, but all came with some forms of defects. All of this combined for a “C+” in terms of visuals. I also thought the shows’ Dolby Digital Monaural audio seemed dated but acceptable. Speech was slightly tinny at times, but the lines usually appeared concise and distinctive. Effects seemed serviceable, with decent clarity and accuracy. Music showed adequate fidelity; the score never excelled but those components were fine. Overall, the audio was appropriate given the age of the shows. “The Essential Episodes” lacks any extras. Since prior Twilight Zone releases included bonus materials, that becomes a disappointment. 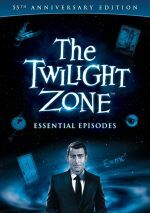 In this “Essential Episodes” collection, we get a good array of Twilight Zone programs. Inevitably, some work better than others, but most seem satisfying. 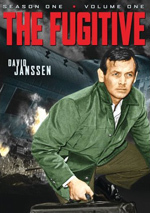 The DVD provides mediocre picture and audio and lacks any supplements. I think the presentation could be better, but this remains a decent overview.